Alpinestars Tech 1-Z Race gloves. These gloves feature a range of design and material innovations resulting in an ergonomically evolved chassis which offers a significant weight reduction and improved levels of control, cockpit comfort and performance. 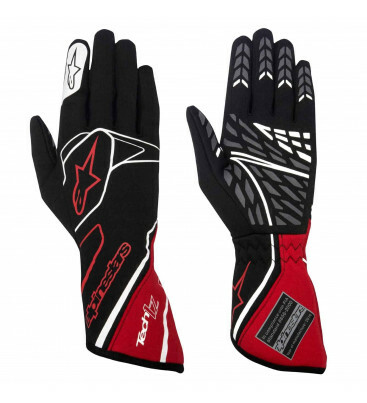 Drawing on decades of technical expertise from the Alpinestars racing programme, this glove features an innovative flame-resistant aradamic fibre main construction, with a bonded aramid inner lining to ensure optimal temperature control for maximum comfort and feel. The Tech-1 Z glove has a newly developed latex sprayed interior grip zone improving comfort and combines with outer grip zones for superb control and feel on the cockpit’s controls.